• A 60 percent drop in average waiting time for permits. • A 50 percent drop in average time needed to return facilities to compliance. • A 70 percent drop in average time needed to fulfill a public records request. • More than double the number of storage tank cleanups, compared with 2011. • Two state superfund sites closed, compared with none between 1997-2012. 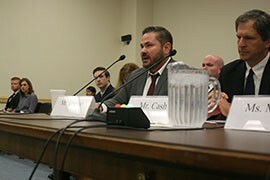 WASHINGTON – The director of the Arizona Department of Environmental Quality told a House committee Wednesday that his agency has improved efficiency by using private-sector practices and embracing modern technology. 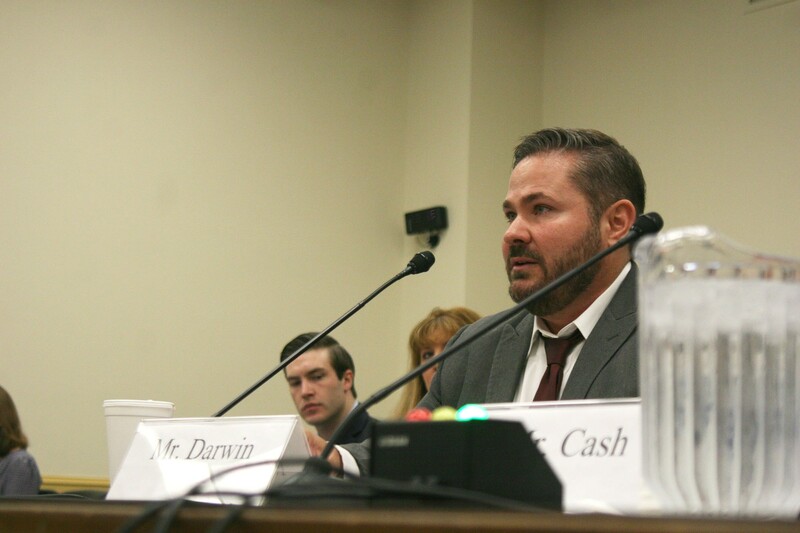 Henry Darwin told the House Energy and Commerce Committee that strong businesses focus on the customer and use technology to streamline performance, something that Arizona DEQ has worked toward emulating. 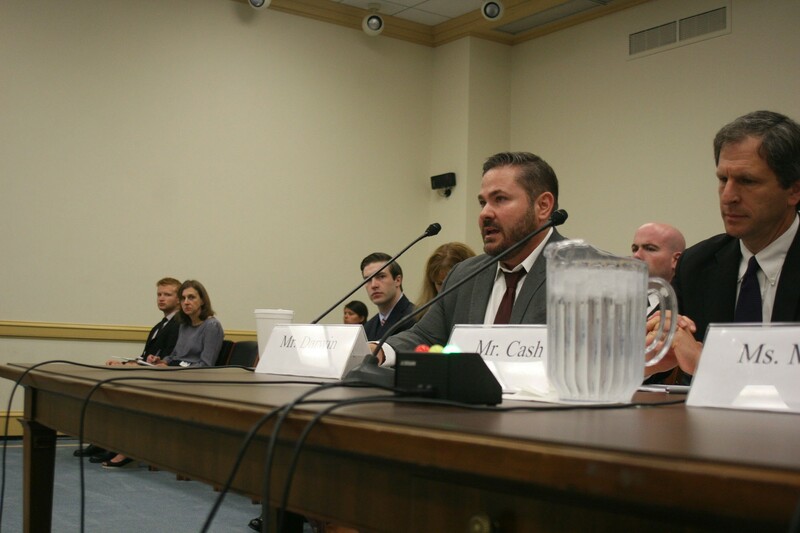 “You only have to look to the demise of Blockbuster video, who used to have stores on every street corner, to see the consequences of not keeping up with the American public’s expectations that quality products and services be delivered immediately and online” he testified. Besides constantly improving its practices to eliminate wasteful activities, Darwin said ADEQ has also embraced the Internet age with “MyDEQ,” a proposed Web portal that would let customers submit data and apply for permits. Darwin said the reforms have led to dramatic reductions in wait times in his department, including a 60 percent drop in waits for permits and a more than 70 percent drop in waits for public records request. Rep. John Shimkus, R-Ill., said in opening remarks that he hoped the hearing would shine a light on how both states and the federal government can innovate to improve efficiency. “In this age of declining budgets and workforce, states, the EPA, the regulated community and the public must work together to find ways to improve environmental protection while spending less” in terms of resources, Shimkus said. William Kovacs, the senior vice president for environment, technology and regulatory affairs at the U.S. Chamber of Commerce, said states are better positioned to handle permit requests because the federal structure has no coordination or time limits. Darwin said that since his agency was removed from the state’s general fund it has the freedom and the motivation to improve service for customers. He said that about 85 percent of the department’s $133 million budget comes from fees, with the rest coming from the federal government. Kovacs agreed that a budget dependent on user fees could be a good motivator for a department to innovate. But one member of the panel warned against such a budget structure, saying that putting funding for regulations in the hands of the regulated is a dangerous position. Other members of the panel said modernization has helped improve their agencies. Massachusetts Department of Environmental Protection Commissioner David Cash said his agency reviews regulations to determine if they are efficient, and has been able to eliminate some permits and reduce barriers to beneficial products like renewable energy as a result. Teresa Marks, director of the Arkansas Department of Environmental Quality, said the agency worked with other states, including Arizona, to create a reporting system that lets facilities enter data online. Inspectors also use tablets onsite to register data immediately, rather than waiting to return to the office to log everything onto a computer. Darwin agreed that the days of paper-pushing are numbered. “If we choose to follow a pure paper operation, it results in slow transactions that are wrought with human error,” Darwin said. Arizona Department of Environmental Quality Director Henry Darwin testifies to a House committee on efficiency of regulators. Rep. John Shimkus, R-Ill., said the Arizona DEQ has cut permit wait time by 60 percent through such efficiencies, while still protecting the environment. 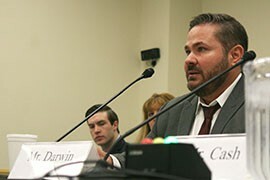 Arizona Department of Environmental Quality Director Henry Darwin testifies to the House Energy and Commerce Committee, which was looking for ways that state and federal agencies can improve productivity while still protecting the environment.